House of Fraser filed proposals for a company voluntary arrangement (CVA) in a bid to avoid collapsing into administration. This is an insolvency procedure that, if approved, would allow the chain to restructure its store portfolio and rearrange its deal with its landlords. The CVA lays out plans for drastic cuts, including the store closures, which puts 6,000 retail jobs at risk. 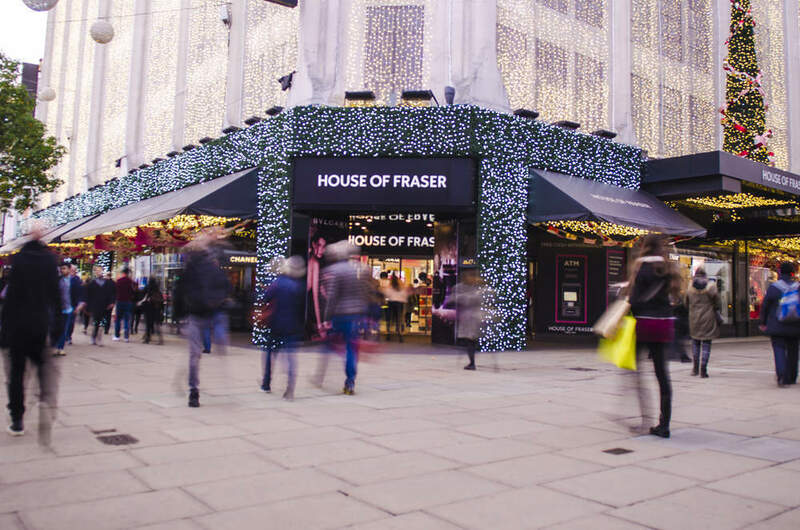 House of Fraser hopes that the subsequent restructuring will be enough to persuade C.banner, the Chinese owner of Hamleys, to give them a multimillion-pound cash injection. Creditors will vote on the deal on 22 June. House of Fraser says that its current portfolio of 59 leased stores was “unsustainable in its current form”. They are not alone, with much of the UK high faceing unusual difficulties. Part of the problem is changing spending patterns. Around 20% of fashion sales have now moved online, and physical retail spaces are becoming more and more redundant. Additionally, there has been a dramatic shift in the way the British public now spends their time and money. Social media, leisure, eating out and delivery services all funnel away disposable income that would previously have gone straight to the shops. Department stores are particularly feeling the strain. The department store BHS collapsed two years ago, with a £36m payout to creditors only agreed this January. Debenhams is also reportedly struggling. Department stores are struggling to survive because they face eroding margins and increasing competition from branded specialist retailers and online pure players. The House of Fraser has failed to transform its stores into millennial-friendly experiences. In order to remain relevant, it should have focused more on re-purposing vast floorspace to entertainment and recreation with some of the latest technologies such as augmented reality, smart fitting rooms and interactive digital signage. Included in the House of Fraser stores slated for closure are the flagship Oxford Street store, as well as many stores in provincial towns in the midlands and the north.